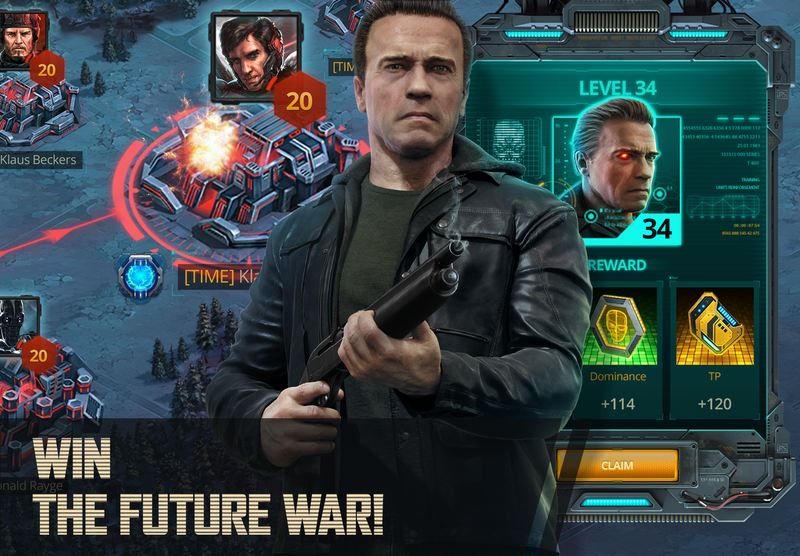 Arnold Schwarzenegger is no stranger to the mobile gaming scene. 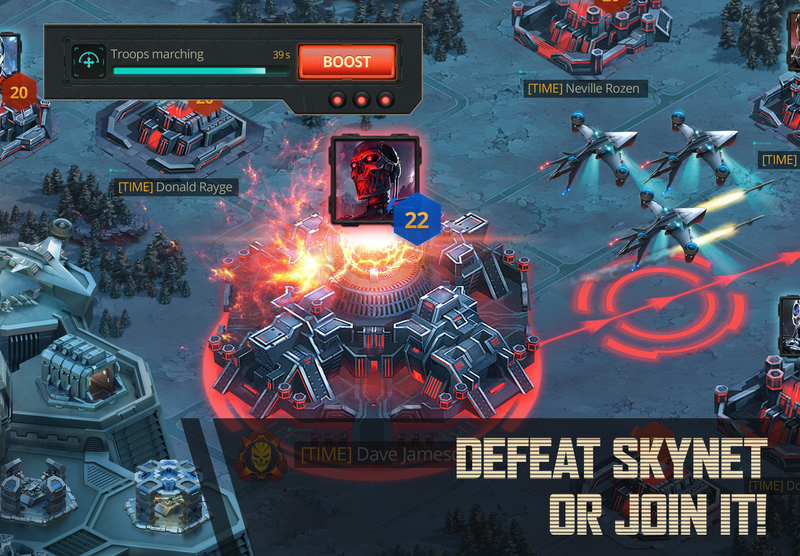 Two years ago he starred in a Super Bowl commercial for the now popular strategy game Mobile Strike. Schwarzenegger also had his likeness appear in a Glu developed movie tie-in game. Disappointingly, these experiences must have been just the taste he needed of our sweet, sweet in-app purchase fueled market, as there is now a new mobile game bearing his likeness. It is titled Terminator Genisys: Future War, and it is the latest stab at cashing in on the Terminator franchise. 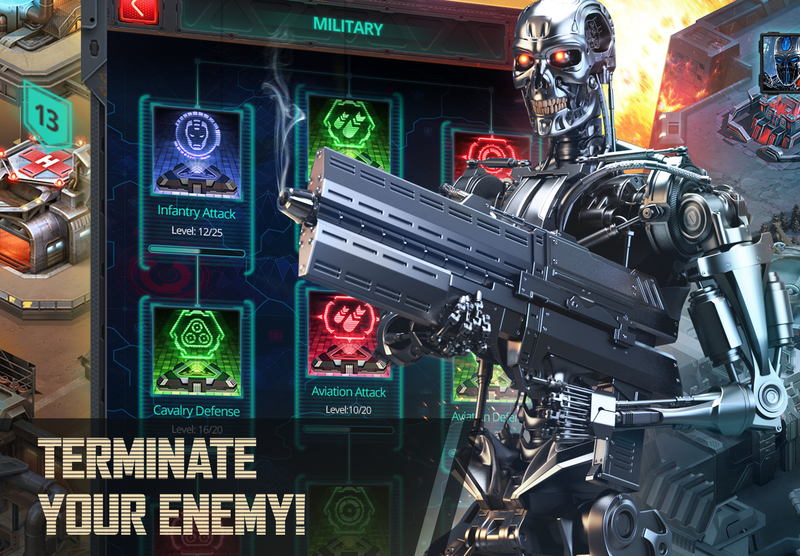 All kidding aside, Terminator Genisys: Future War is a free-to-play mobile strategy game created by Plarium LLC. It is a continuation of the Terminator franchise, as it takes place after the events of the Terminator Genisys movie. When you begin the game, you will have a choice of what faction you would like to align with. The Resistance or Skynet. So no longer do any of us fans have to hitch our wagon to the human resistance, we can now dominate as the machines! 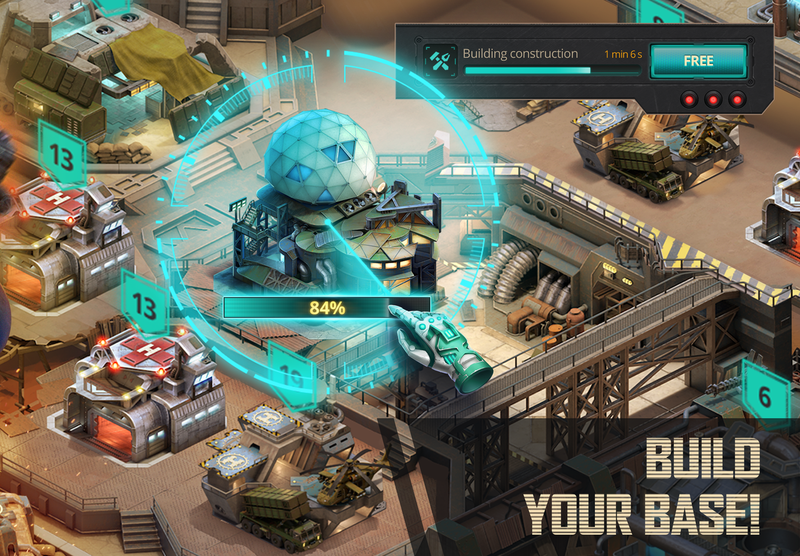 Once your faction is chosen, you can delve into building up your base and army in order to win the future war. 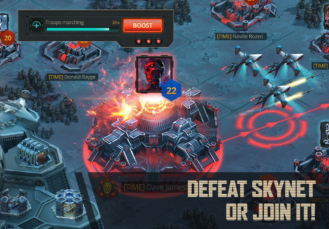 As a free-to-play game, you can undoubtedly expect in-app purchases that run as high as $99.99 per item. The good news is there are no advertisements, and Google Play Games is supported for achievements and cloud saving. You can even link your Facebook account if you are not a fan of GPG. 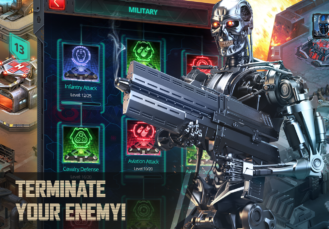 Honestly, Terminator Genisys: Future War is precisely like every other free-to-play game on the Play Store. You can pay to remove false walls, or you can grind it out. Either way you slice it, this is a game best played casually, if at all. While the concept of playing as a terminator does sound intriguing, the amount of time it takes to make any progress just sours the whole deal.